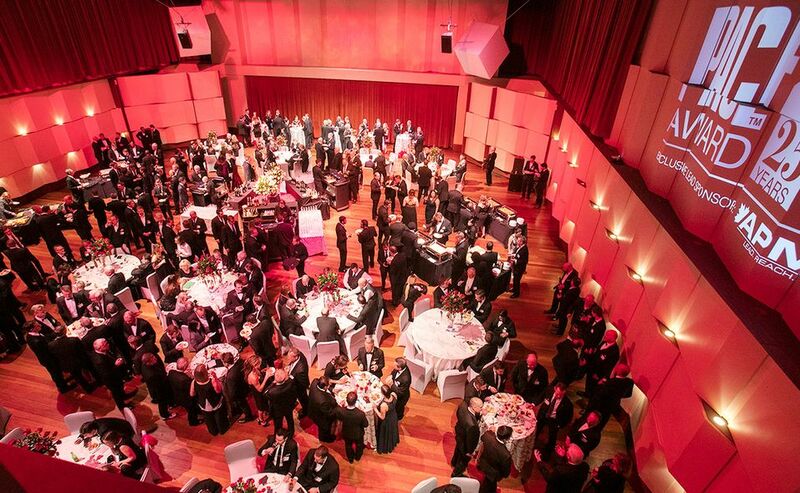 PACE Awards Ceremony at the Max M. and Marjorie S. Fisher Music Center in Detroit on Monday, April 8. Finalists and guests gather for the PACE Awards ceremony. 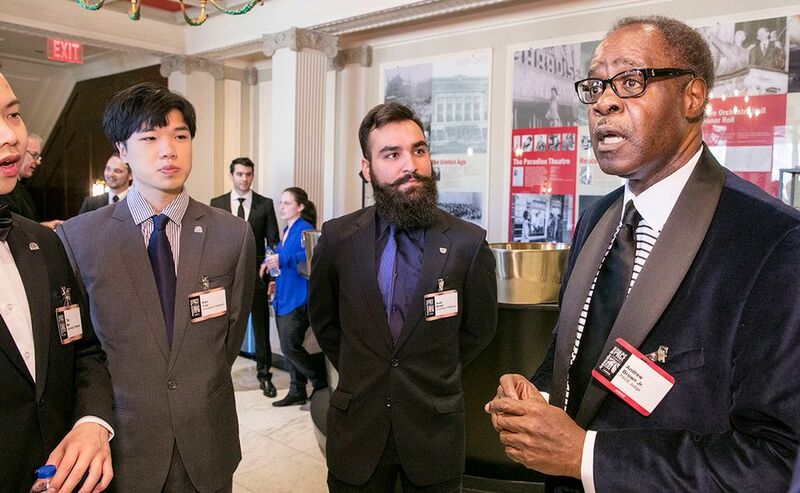 PACE Judge Andrew Brown Jr. speaks with engineering students from the University of Waterloo, Ontario. 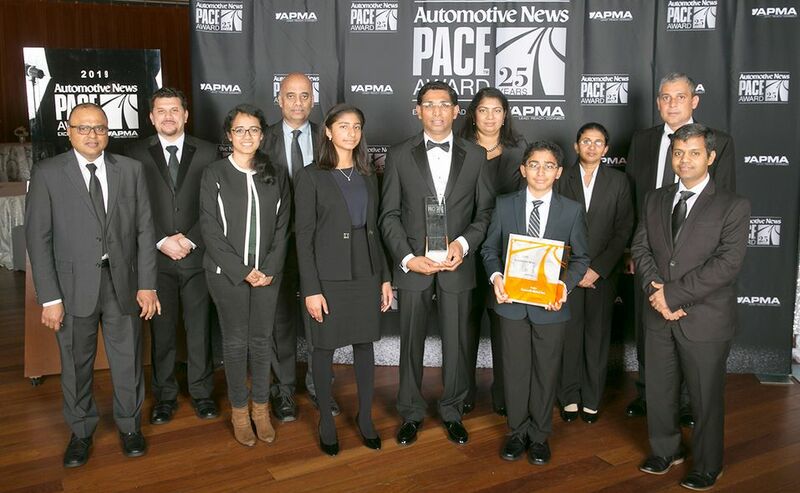 Their visit was part of the PACE Awards' effort to introduce Science Technology Engineering and Math (STEM) students to automotive technology. 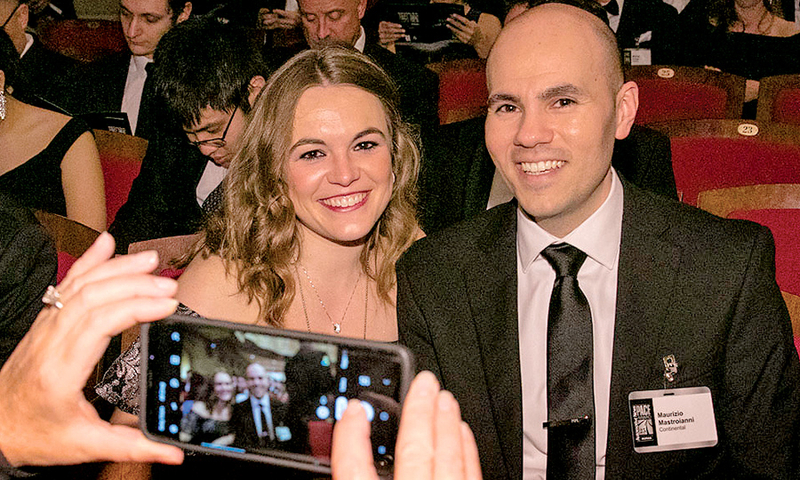 Continental's Cayla Essenburg, vehicle test engineer, and Maurizio Mastroianni, engineering supervisor, commemorate the night with a photo. 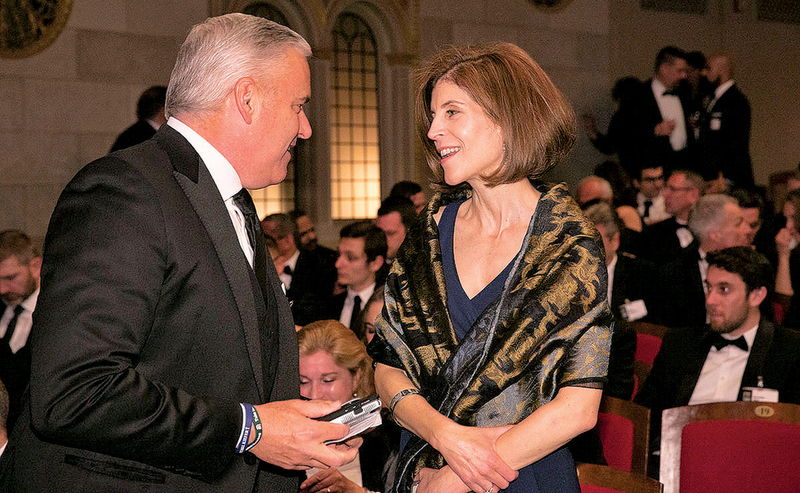 General Motors purchasing chief Steve Kiefer chats with Francoise Colpron, Valeo group president, North America. The Caresoft Global Inc. team (with family), headed by Mathew Vachaparampil, president and CEO, poses with winner and finalist trophies. Caresoft was awarded for its Computed Tomography (CT) Vehicle Benchmarking System. The Gentherm Inc. team, lead by Michael Adldiger, director of application engineering, poses with the winner and finalist trophies. 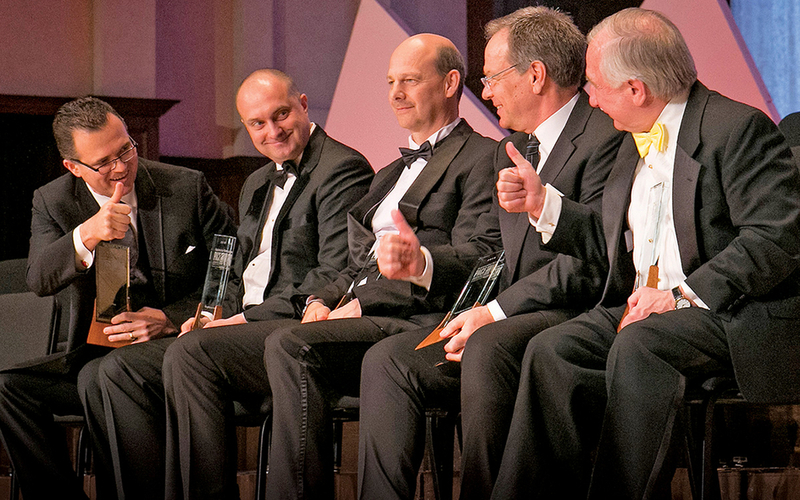 Gentherm was awarded for its Thermoelectric Battery Thermal Management. The Dana Inc. team, headed by Bob Pyle, president, light vehicle driveline, poses with the winner and finalist trophies. 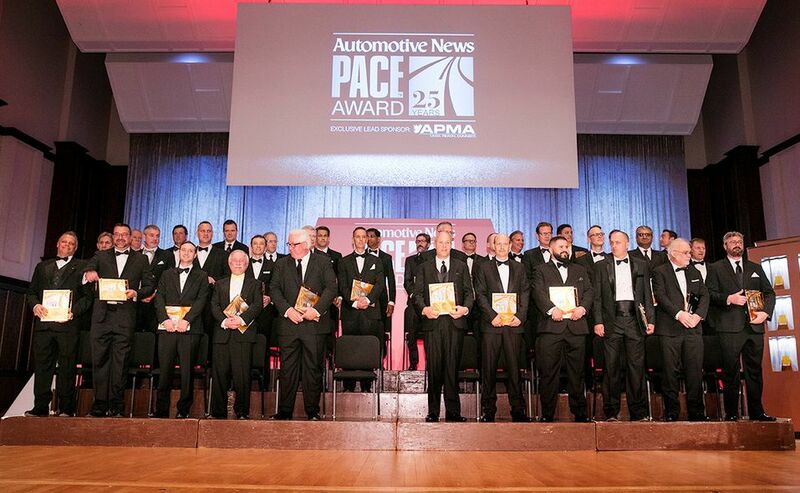 Dana was awarded for its Spicer AdvanTEK Axle System. 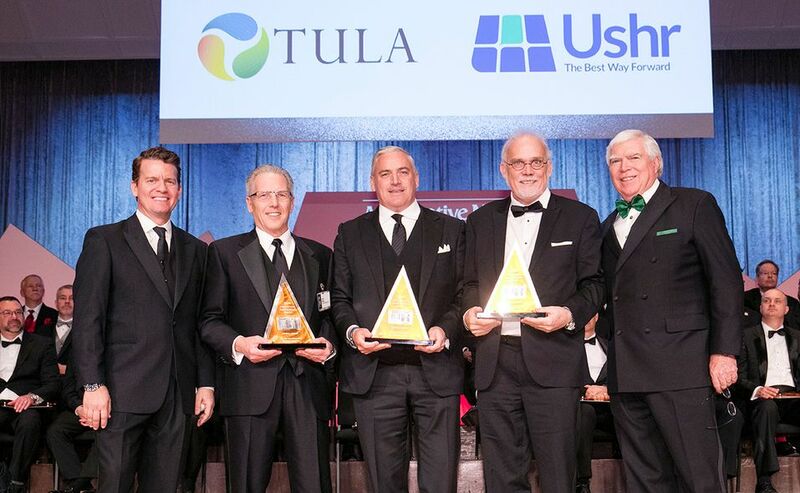 The Tula Technology, Inc., team, headed by R. Scott Bailey, president and CEO, poses with the winner and finalist trophies. Tula was awarded for its Dynamic Skip Fire (DSF) Technology. The Exco Engineering team, headed by Wessel Byleveld, director of additive manufacturing, poses with its winner trophy. 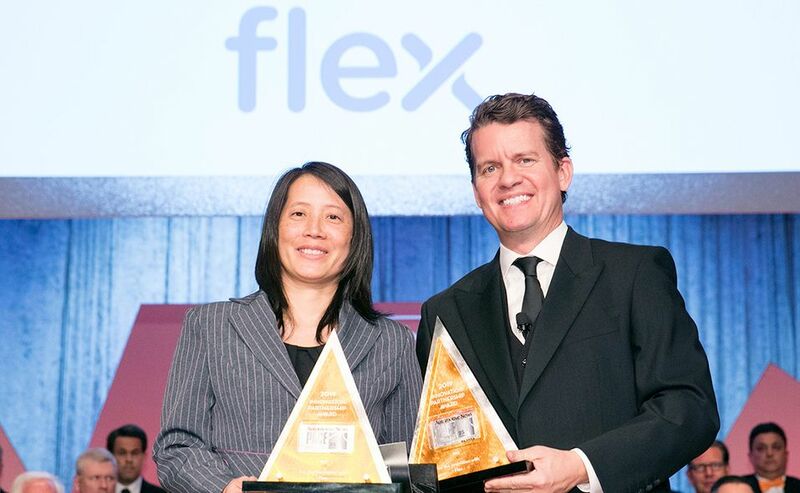 Exco was awarded for its 3D Printed Die Components. The Velodyne team, headed by Mircea Gradu, senior vice president, poses with the winner and finalist trophies. 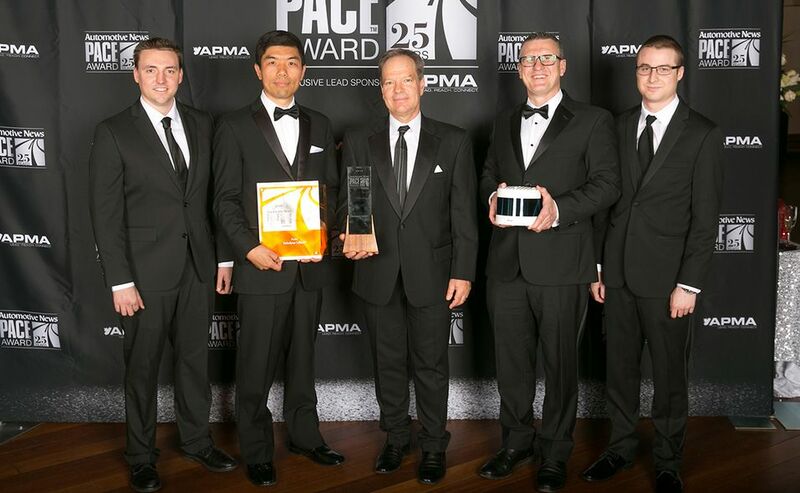 Velodyne was awarded for its Alpha Puck high-performance lidar sensor. 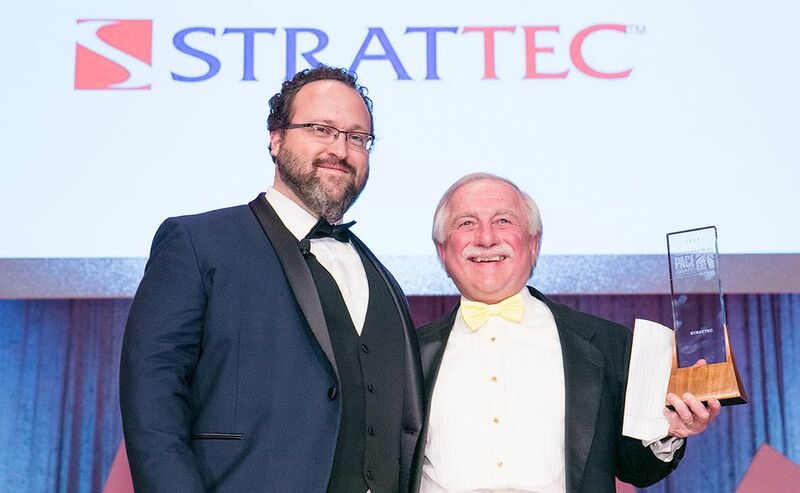 Strattec President and CEO Frank Krejci, right, accepts a winner's trophy from Flavio Volpe, president of the Automotive Parts Manufacturers' Association. 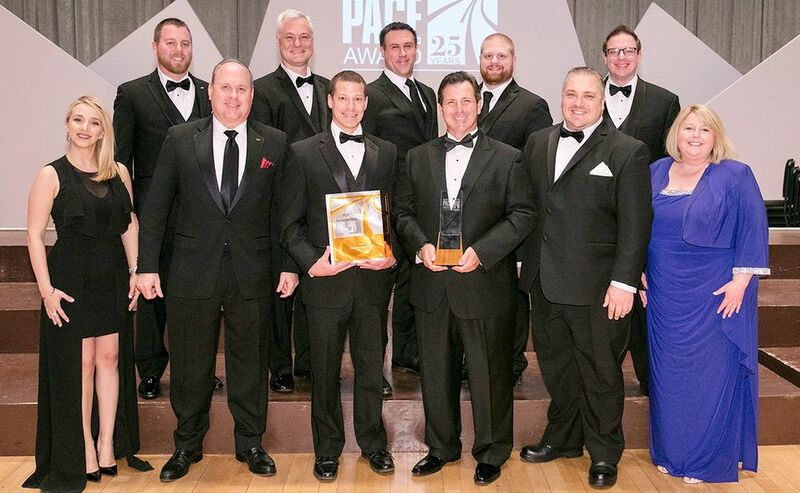 Strattec was awarded for its Invis-A-Rise power tailgate system. 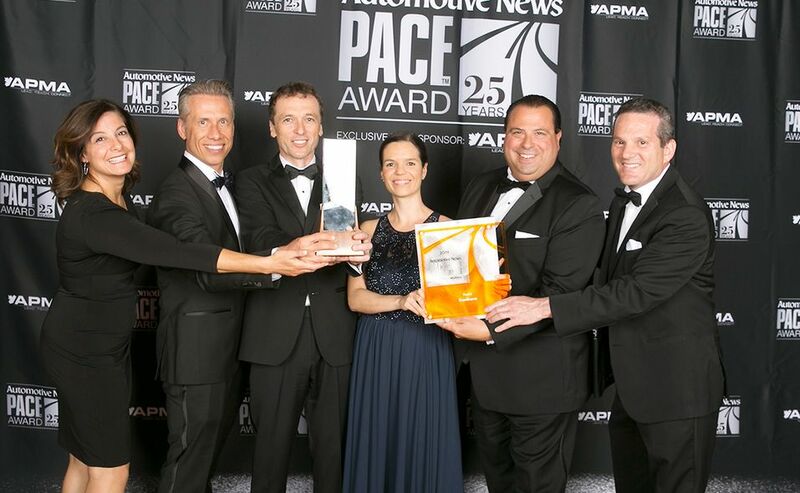 Aptiv Vice President, Global Product Lines, Michael Pozsar, middle, accepts a winner's trophy from Volpe and J Ferron, director of PACE judging. 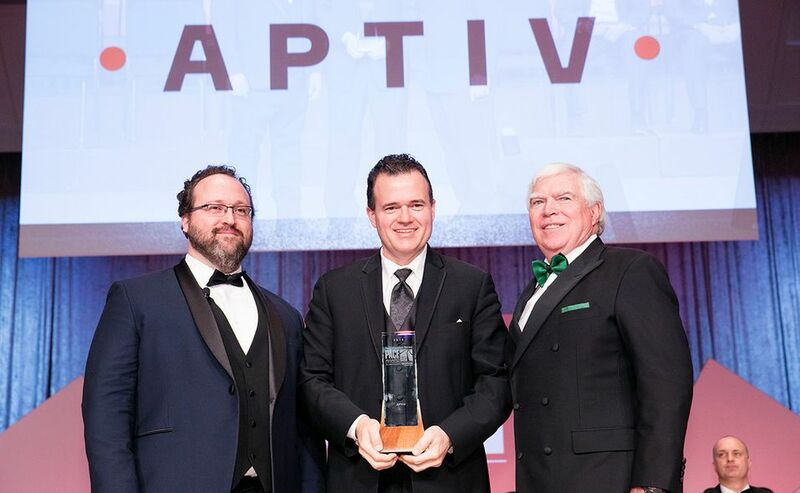 Aptiv was awarded for its automated driving satellite compute platform. 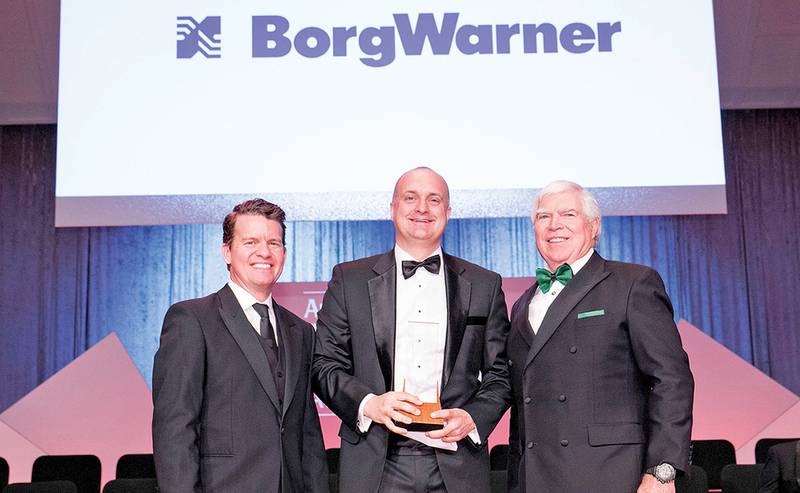 Stein, left, and Ferron, right, help Mike Ausbrooks celebrate BorgWarner's win for a dual volute turbocharger for gasoline engines. 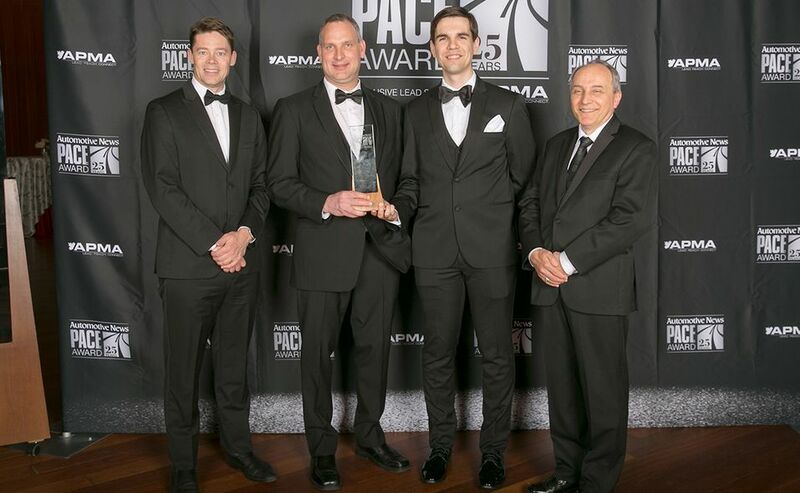 Audi was awarded a PACE Innovation Partnership award for its work with Aptiv on the automated driving satellite compute platform. 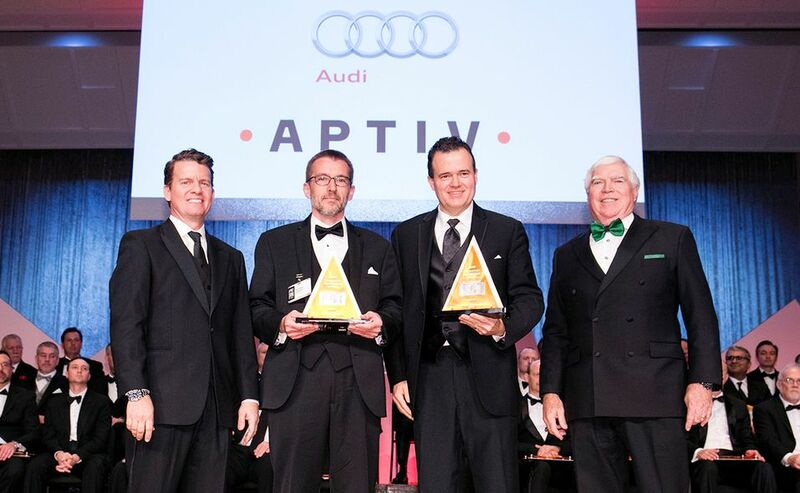 Audi Director, Domain Controller, Automated Driving, Bernhard Augustin, second from left, and Aptiv's Pozsar stand between Automotive News Publisher Jason Stein, left, and Ferron. 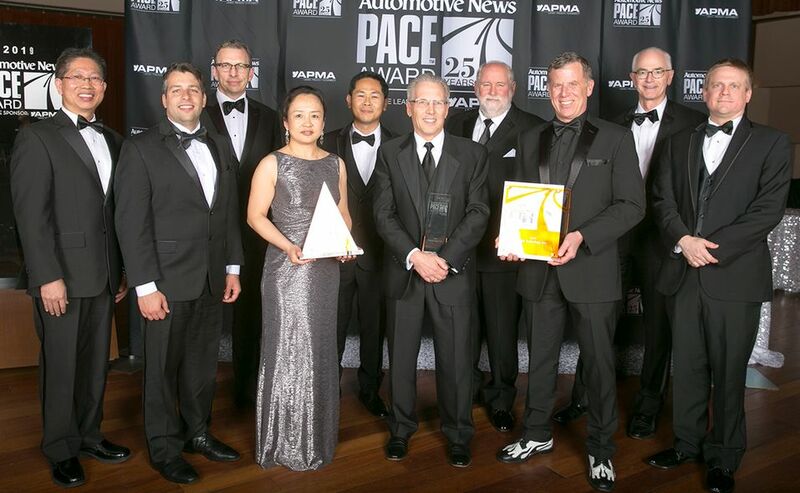 Nio was awarded a PACE Innovation Partnership award for its work with Flex to develop the Nio Interior User Experience. Nio Senior Manager Khang-Nghi Dao, left, and Stein. GM received two Innovation Partnership awards for its work on the Dynamic Skip Fire technology with Tula Technology Inc., and its partnership on the high-definition advanced driver's map with Ushr. Shown, from left, are Stein, Tula President Bailey, GM Senior Vice President for Global Purchasing and Supply Chain Steve Kiefer, Ushr CEO Bruce Gordon and Ferron. 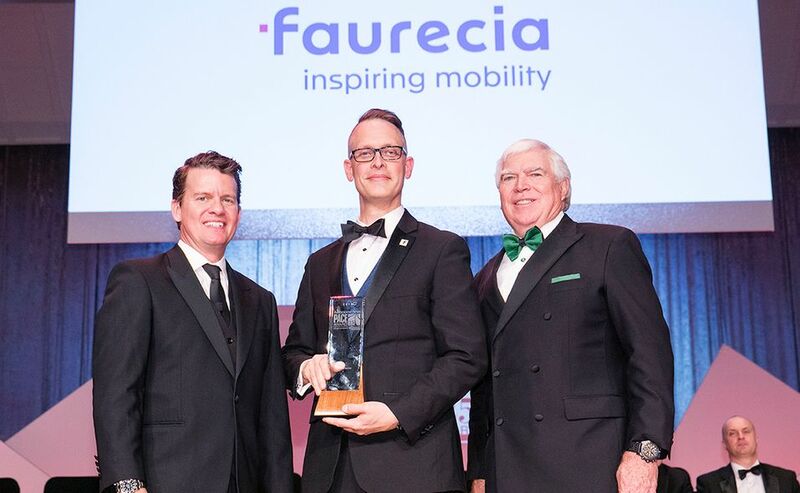 Faurecia Vice President Andrew Potius, middle, accepts a winner's trophy from Stein and Ferron. Faurecia was awarded for its resonance free pipe. Tenneco Powertrain Director of Technology, Global Pistons, Frank Doernenburg, middle, accpets a winner's trophy from Volpe and Ferron. 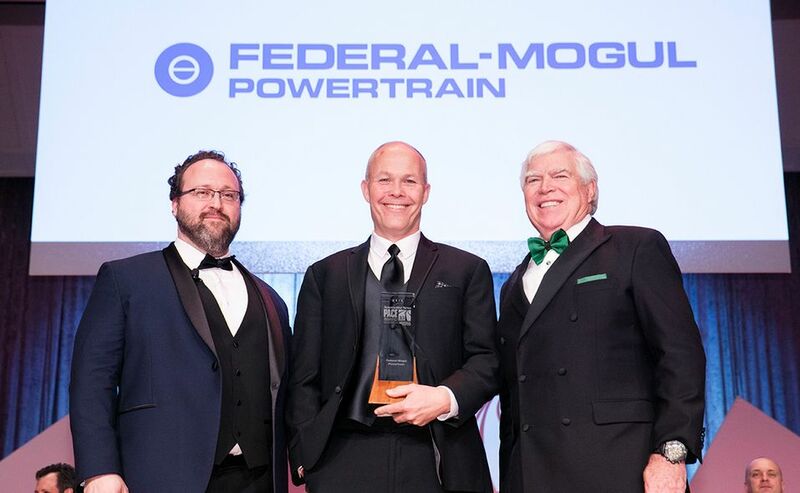 Tenneco Powertrain, formerly Federal-Mogul, was awarded for its DuraForm-G91 aluminum alloy for diesel pistons. Material Sciences Corp. Vice President, Engineering Solutions, Matt Murphy, middle, accepts a winner's trophy from Stein and Ferron. 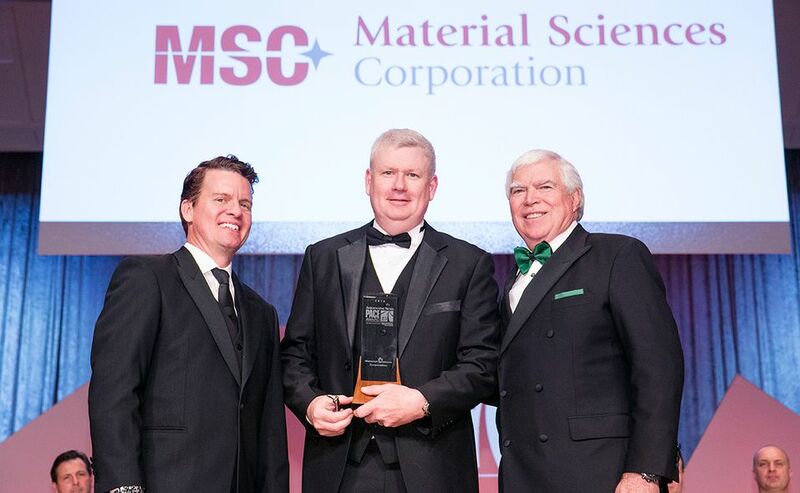 Material Sciences was awarded for its smart steel. PACE Award finalists gather on stage. 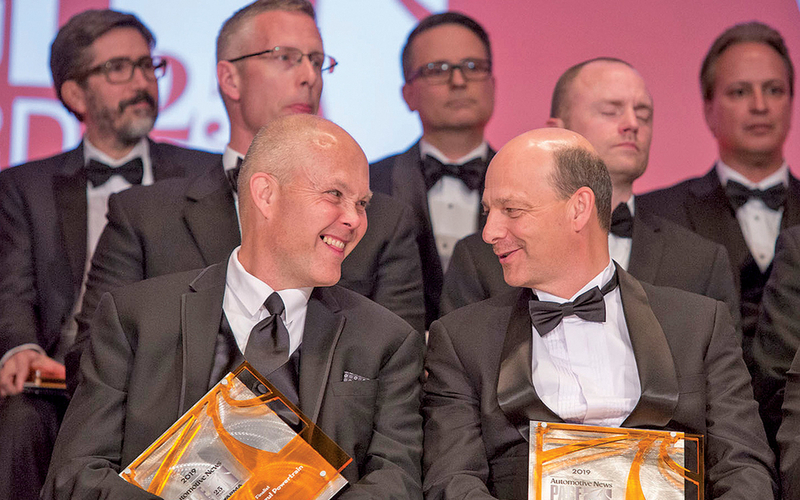 Tenneco Powertrain's Frank Doernenburg, left, and Richard Mittler had a lot to smile about as the supplier took home two awards, for a new aluminum alloy and for a breakthrough in piston ring development. 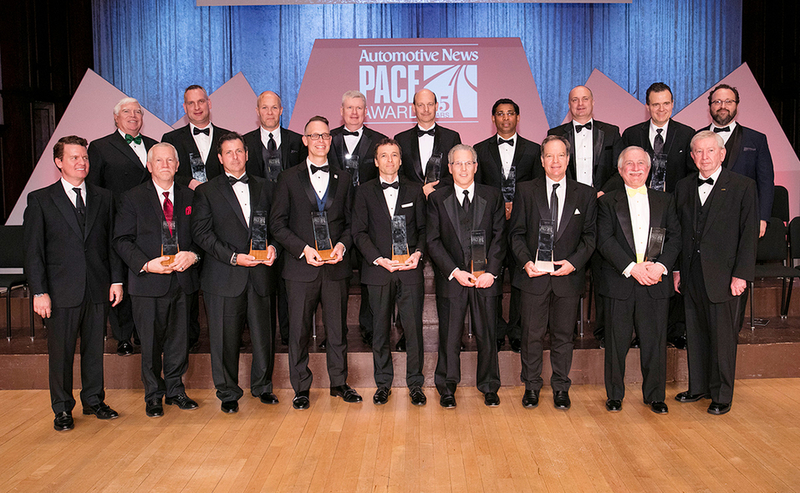 The Automotive News PACE Awards program marked its 25th year of honoring supplier innovation last week. 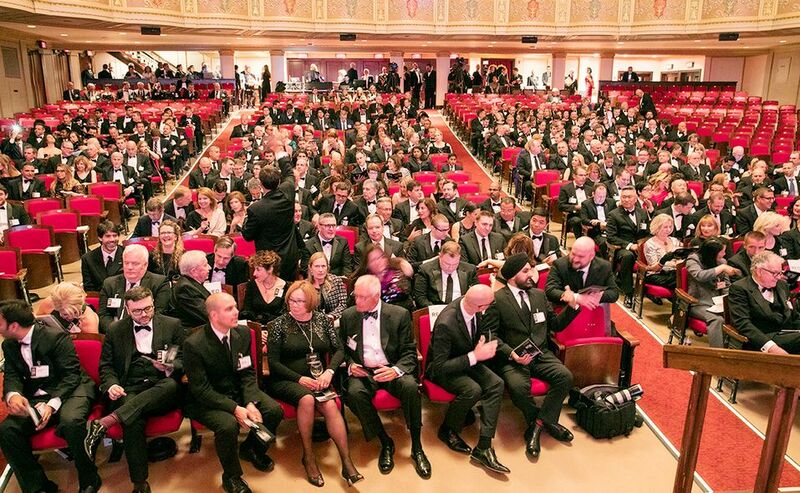 Here are photos from the gala event and a list of the 2019 winners.